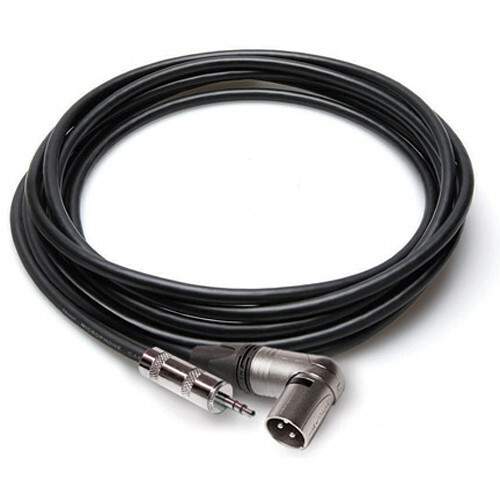 This Hosa Camcorder Microphone Cable (MMX-025SR) measures 25' in length (7.62m), features a 1/8" (3.5mm) TRS mini connector for camcorder inputs, and a right angled Neutrik 3-pin XLR male connector for microphone outputs. Its 25' length is well suited for microphones mounted on boompoles, handheld shockmounts, etc. The right angled XLR is ideal for tight connector spaces. Box Dimensions (LxWxH) 9.0 x 9.0 x 2.0"